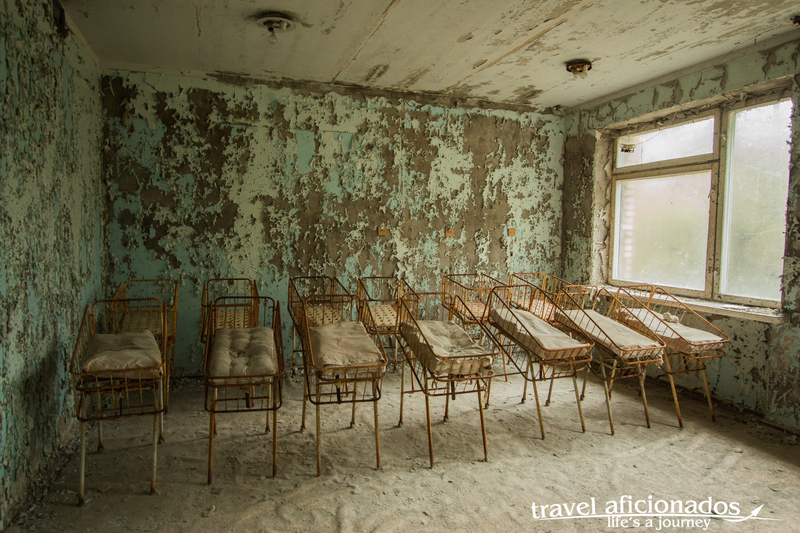 Pripyat is only three kilometers away from the Chernobyl Nuclear Power Plant and was evacuated the day following the blast. A fleet of 1300 buses shipped out the residents, who only had a few hours’ notice. Behind they left all their furniture and possessions that still can be seen in some buildings. 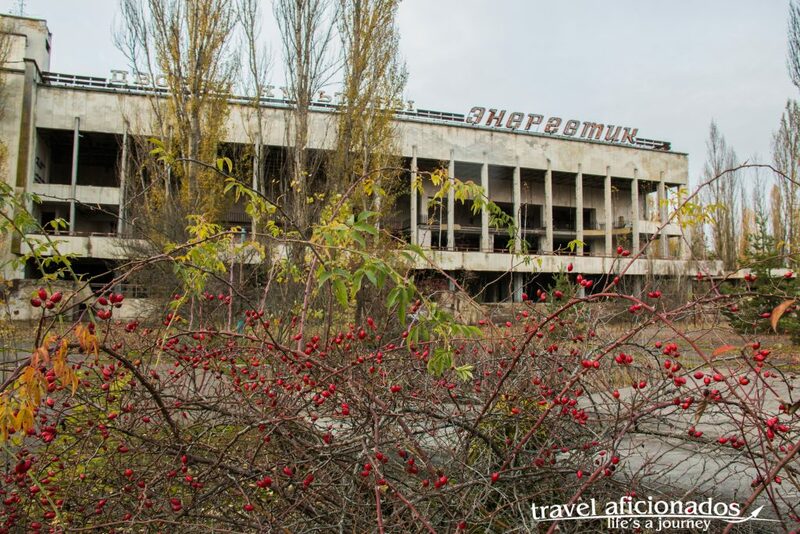 Thirty years later, nature has taken over. 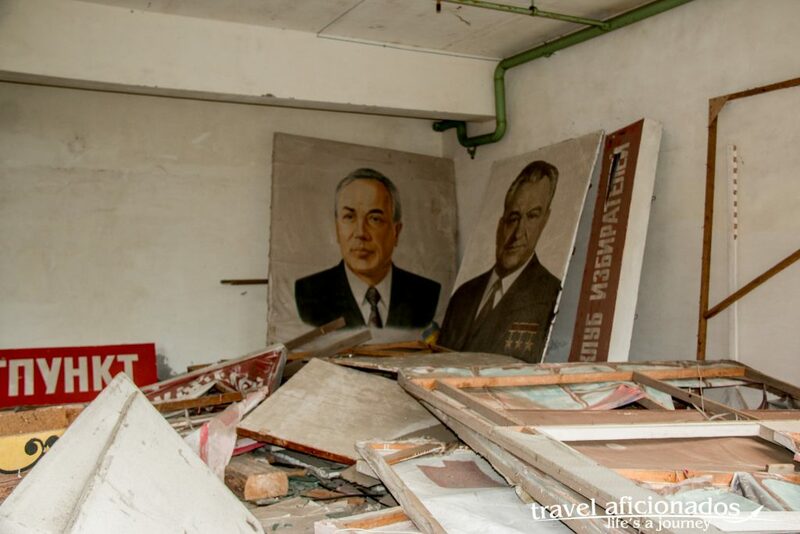 Walking through this ghost town gives can be a bit creepy, but above all it feels like walking about into a freeze-frame of 1986 Soviet Union. On April 26, 1986, during a test to see how much power was needed to keep the No. 4 reactor operating in the event of a blackout, it exploded. 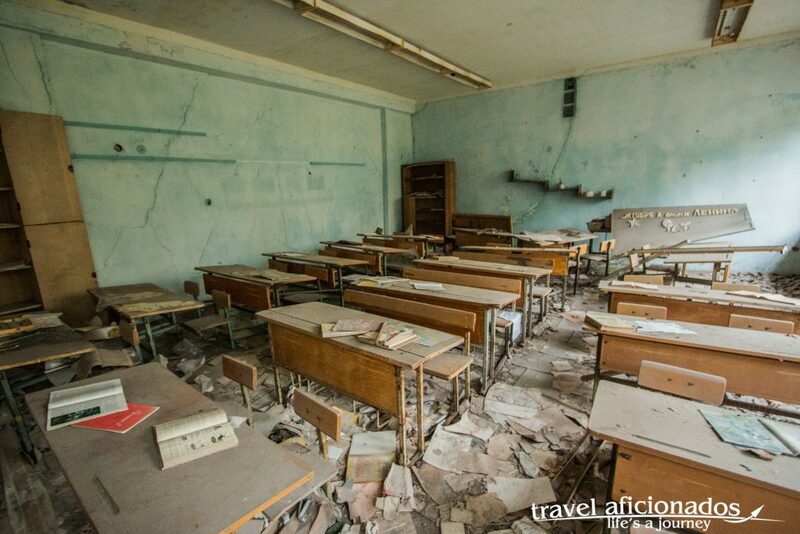 Extremely dangerous amounts of radioactive chemicals were catapulted into the air, contaminating the immediate surrounding, but also millions of square miles in dozens of European nations. 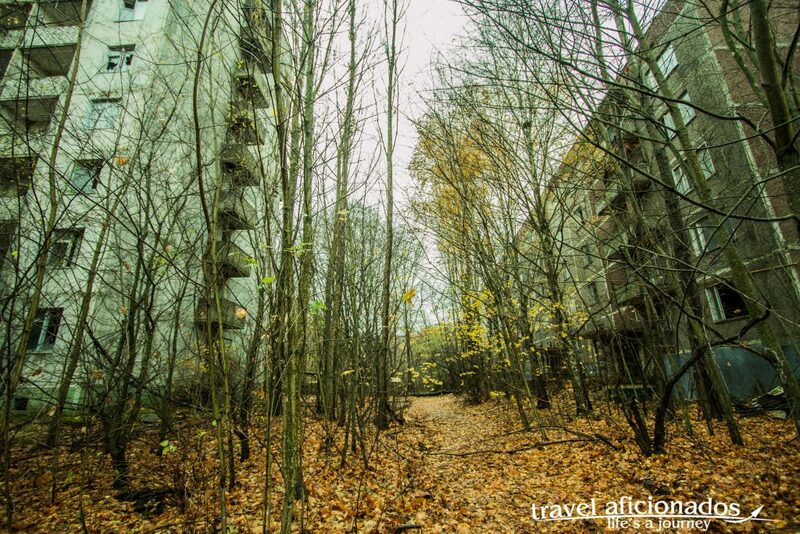 Then Pripyat was a city of 49,000 founded in 1970 when the construction of the power plant began. Its residents – mostly young families and employees at the plant – lived in relative luxury. 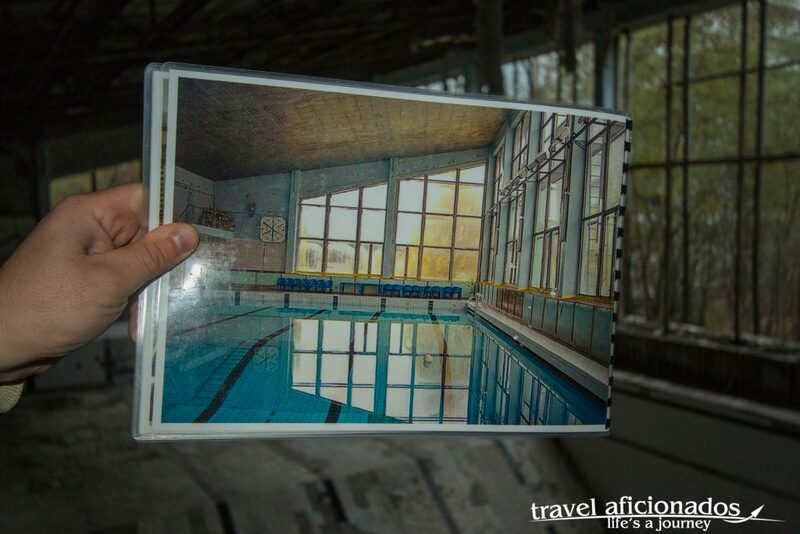 Pripyat was a showcase Communist community, it had an excellent hospital, 15 primary schools, sport facilities of all kinds, an amusement parks, cinemas, theaters, 25 stores, restaurants. All to keep the workers at the plant – which supplied a quarter of Ukraine’s energy needs – happy. Over two decades later, Communist propaganda still hangs on walls, personal belongings litter the streets and abandoned buildings. The hammer and sickle decorate lampposts, In one building a pile of the banners was sitting in a corner, they did not see the parade on May Day 1986 nor any other. 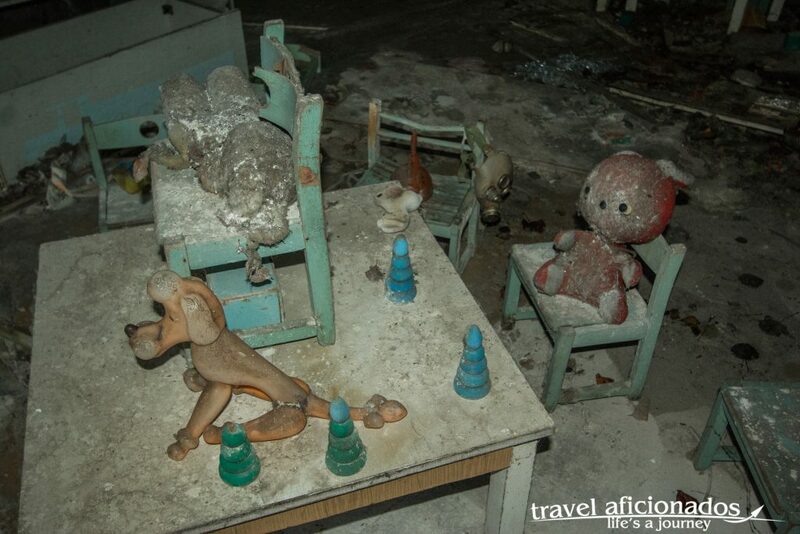 Toys are strewn about a kindergarden where they were dropped by children who are now fully grown. Spooky is the best word to describe this town. 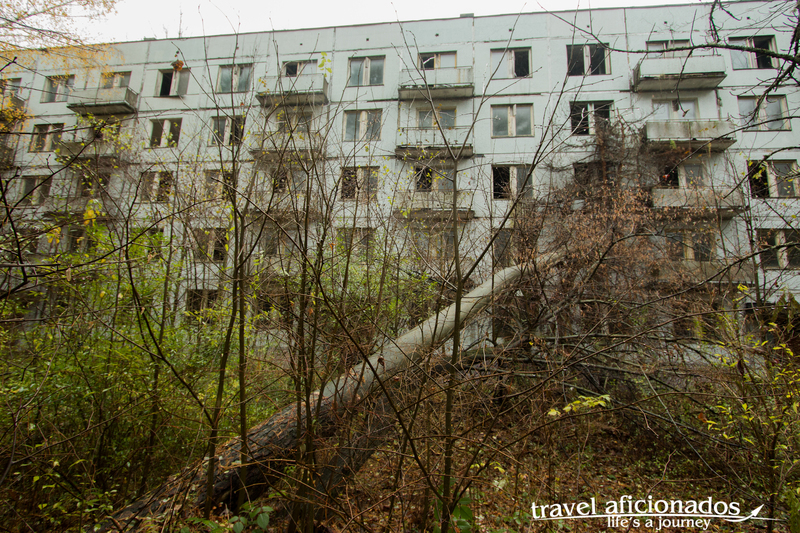 Especially at dawn it was eerie to stumble around in semi-dark buildings, since there is no electricity anywhere in Pripyat. Deserted schools where textbooks still littered the floor and a kindergarden with tiny tables, chairs and toys made it even more emotional. 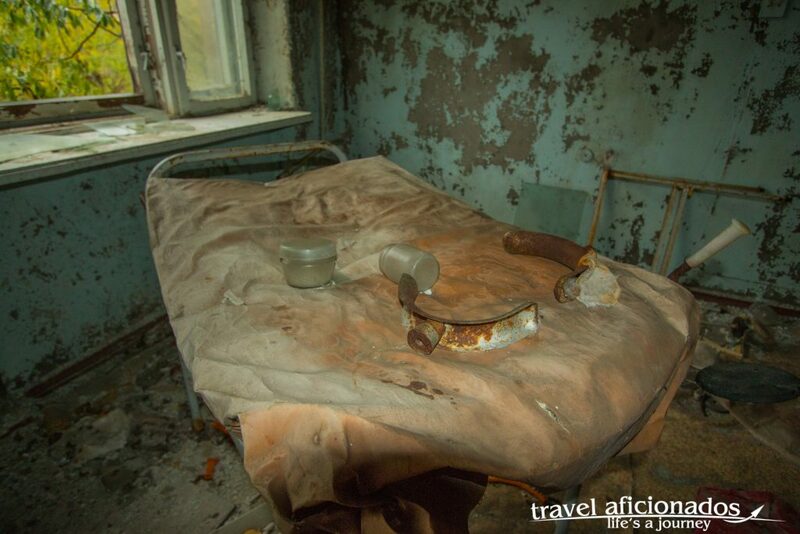 The maternity ward of the hospital with it empty cribs and rusty surgical instruments gave me goose pimples. 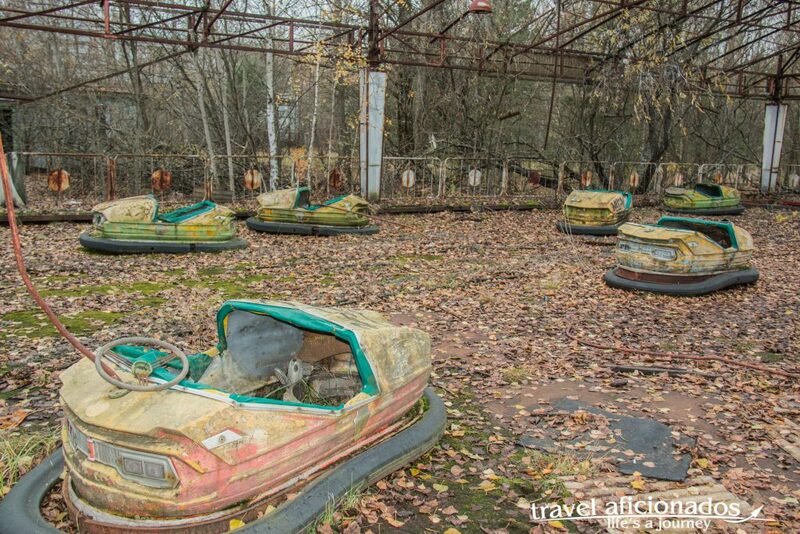 Thirty years ago people lived in the apartments blocks, drove bumper cars at the amusement park and lined up for ice-cream. There is a famous photos taken the day following the accident. It shows a group of people lining up in front of an ice-cream parlor, happily looking into camera not aware that they were being exposed to deadly radiation. 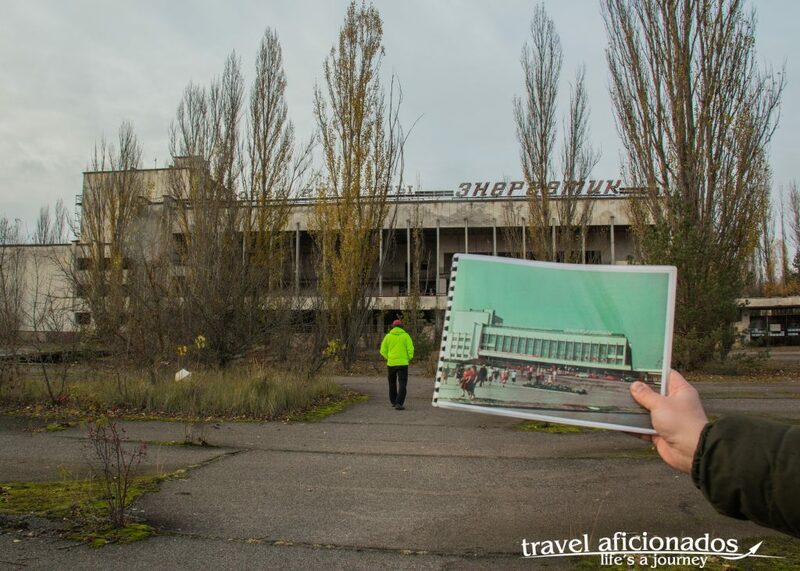 Our guide had photos showed certain areas of Pripyat before the accident, the hotel, Lenin Boulevard, the swimming pool and a public plaza where little trees press through the stonework. 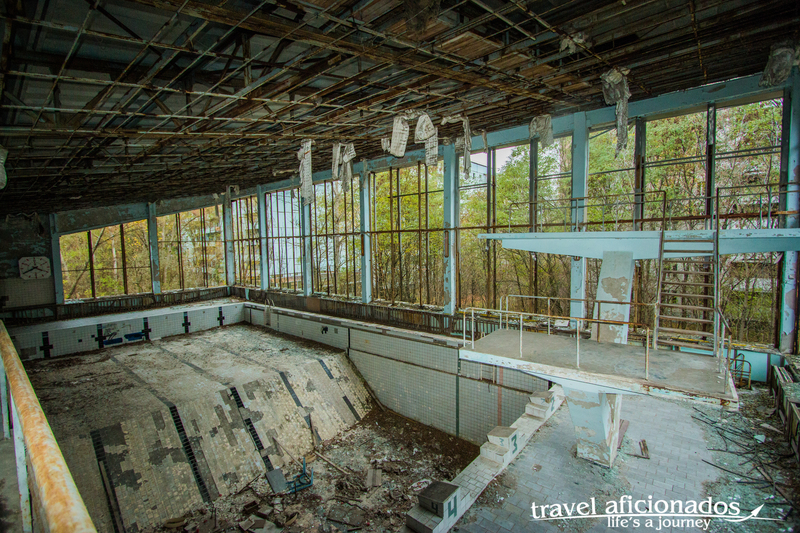 Pripyat now has the look and feel of a Hollywood movie portraying nuclear apocalypse.